ROSSDALE is a national leader in attorney education and is honored to be the educational provider of choice to host the country’s distinguished federal and state judges, practicing attorneys, government officials, professors, and experts to provide customers with timely, precise and quality education. ROSSDALE's nationally recognized speakers offer industry leading instruction on current rules, best practices, latest regulation, and court opinions to ensure your success and practice growth. ROSSDALE provides live telephonic seminars, 24/7 on-demand downloads, CD’s, podcasts, and in-person seminars. Did you know that ROSSDALE has distinguished itself as a market leader in continuing legal education by automatically e-mailing a complimentary, full-length recording and podcast of any live teleconference for which a registered attendee is unable to attend? All registered attendees who are unable to dial into a live teleconference will automatically be e-mailed a link with access to a full-length recording and podcast of the seminar. Neither the link nor the recording/podcsst expires so the registered attendee may listen at his or her convenience. And ROSSDALE's recordings and podcasts qualify for full CLE and MCLE credit in most approved jurisidctions. In addition, ROSSDALE also includes a link to all course material along with the complimentary recording and podcast. ROSSDALE is committed to providing exceptional customer support to accompany your educational experience. Complete Customer Service resources are available 24 hours a day, 7 days a week by clicking here, including the opportunity to communicate with a customer service agent. ROSSDALE once again has become the leader in continuing legal education by providing overnight and weekend customer support. A complete listing of all upcoming seminars and available 24/7 on-demand recordings and podcasts are available by clicking here. This Web site is owned and provided by The Rossdale Group, LLC (“Rossdale”), a Florida-based business entity. The Rossdale Group, LLC, may be reached at 1172 S. Dixie Highway, Suite 225, Miami, FL 33146, 888-626-3462, or at CLE@TheRossdaleGroup.com. All remarks, suggestions, ideas, graphics, data or other information communicated to Rossdale through this Web site, via facsimile, voice mail, telephone call, U.S. mail, electronic mail, or any other form of communication will be treated as non-proprietary and non-confidential and become the property of Rossdale without compensation, for exclusive use at our discretion. The trademarks, service marks and logos (including the names The Rossdale Group, Rossdale, and The Rossdale Group, LLC, and “The Rossdale Group, LLC” logo) used and displayed on this Web site belong to Rossdale or others. Nothing on this Web site should be construed as granting, by implication, estoppel or otherwise, any license or right to use any trademark displayed on this Web site, without the prior written permission of the trademark owner. This Web site is copyrighted. The material displayed on the Web Site is copy written and may not be copied, distributed, modified, transmitted, reused, re-posted or otherwise displayed for public or commercial purposes without the express written permission of Rossdale for each such use of the material. Rossdale’s copyright notice (“© 2010 The Rossdale Group, LLC. All Rights Reserved.”) and the World Wide Web address (“http://www.TheRossdaleGroup.com”) are prominently displayed on the material. We respect the intellectual property rights of others, and we ask that our visitors do the same. If you think that your work has been copied in a manner that constitutes copyright infringement, you may notify our Information Technology department, which can be reached at: The Rossdale Group, LLC 1172 S. Dixie Highway, Coral Gables, FL 33146, or at CLE@TheRossdaleGroup.com. Rossdale prides itself on providing the most current & updated continuing legal education programming. Therefore, Rossdale custom manufactures each and every order before mailing goods out. In that manner, Rossdale can update materials and provide more current training. By placing an order, you accept and agree that goods may not be shipped for up to four to eight weeks following a live broadcast or from the date of order, whichever is later; however, goods may be mailed earlier than the 4-8 week period, as soon as they are available. Goods are mailed through the U.S. Postal Service and may take 4 to 7 business days to be delivered once processed. Your use of this Web site is at your risk. THE INFORMATION ON THIS WEB SITE AND ANY MATERIALS OR COMMUNICATIONS SENT TO YOU BY ROSSDALE, AS PART OF A PRODUCT OR OTHERWISE, ARE PROVIDED TO YOU "AS IS," FOR INFORMATIONAL PURPOSES ONLY, WITHOUT WARRANTY OF ANY KIND, INCLUDING ANY IMPLIED WARRANTY OF MERCHANTABILITY, FITNESS FOR A PARTICULAR PURPOSE, NON-INFRINGEMENT, ACCURACY, OR COMPLETENESS. ROSSDALE WILL NOT BE LIABLE FOR ANY DAMAGES INCLUDING DIRECT, INDIRECT, INCIDENTAL, CONSEQUENTIAL, OR PUNITIVE, ARISING OUT OF YOUR ACCESS TO OR USE OF THIS WEB SITE. ROSSDALE DOES NOT WARRANT THAT THIS WEB SITE OR THE SERVERS MAKING THIS SITE AVAILABLE ARE VIRUS FREE. The information contained on this Web site could contain technical inaccuracies or typographical errors, and information may be changed, updated, and/or deleted without notice. Rossdale may make improvements and/or changes in the products and programs described on this Web site at any time. Rossdale disclaims any responsibility for harm resulting from the use of Rossdale’s website, materials, podcasts, .wav files, .mp3 files, flasd drives, CD sets or any software or content downloaded on Rossdale’s website, Rossdale’s 3-CD sets, Rossdale-affiliated sites, whether or not Rossdale approved, produced, designed, or otherwise disseminated such software, files or content. Rossdale approval does not guarantee that software or content from an approved partner will function, sound, or appear as offered or hoped, or be complete, accurate, or free from bugs, errors, viruses, or other harmful content. Rossdale expressly disclaims all warranties and conditions, express or implied, including any implied warranties and conditions of merchantability, fitness for a particular purpose, and noninfringement, and any warranties and conditions arising out of course of dealing or usage of trade regarding the Rossdale website or any software, files or content you download using through Rossdale. No advice or information, whether oral or written, obtained from Rossdale or elsewhere will create any warranty or condition not expressly stated in this agreement. Some jurisdictions do not allow certain limitations on implied warranties, so the above limitation may not apply to you to its full extent. Rossdale’s total liability to you from all causes of action and under all theories of liability will be limited to $50.00. In no event and under no theory of liability will Rossdale be liable to you for any special, incidental, exemplary, or consequential damages arising out of or in connection with this agreement or the software whether or not Rossdale has been advised of the possibility of such damages. The foregoing limitations will survive even if any limited remedy specified is found to have failed of its essential purpose. It is agreed that Rossdale shall never be liable for any amount for which it has not agreed in writing. Rossdale shall never be liable for a customer's time waiting for a seminar, including, but not limited to seminars that are delayed, cancelled, or substituted. Some jurisdictions do not allow the limitation or exclusion of liability for incidental or consequential damages, so the above limitation or exclusion may not apply to you to its full extent. In these Terms & Conditions, an Event of Force Majeure refers to an event beyond the control of Rossdale, which prevents or otherwise impedes Rossdale from complying with an obligation, contract, duty, or undertaking. Examples of Force Majeure include, but are not limited to, natural disasters (such as, but not limited to, hurricanes, fires, explosions, earthquakes, drought, tidal waves and floods); war, acts of terrorism, rebellion, utility outage, contamination by radio-activity, riots, commotion, and/or strikes. It is agreed that Rossdale shall not be considered in breach of any obligation, contract, duty, or undertaking to the extent that Rossdale's performance is prevented or otherwise impeded by an Event of Force Majeure. In the Event of Force Majeure, Rossdsale shall not be liable for any resulting or consequential damages, whether expected or unexpected. At no time, is Rossdale liable to a customer for an amount greater than the total amount of the customer's registration for the seminar at issue. Instead, it is agreed that Rossdale shall make its best efforts to fulfill any obligation, contract, duty, or undertaking prevented or otherwise impeded by Event of Force Majeure by providing registered attendees for a live teleconference with the seminar and course materials in an alternative format in the sole discretion of Rossdale, including, but not limited to an on-demand recording, podcast, CD recording, or offering the course at a later time as a live teleconference. In the Event of Force Majeure, it is agreed that customers for on-demand programs and podcast may access the program for which they are registered at a later time when Rossdale is technologically able to honor an obligation, contract, duty, or undertaking. The Event of Force Majeure does not alter or otherwise change any existing Terms & Conditions. This Web site may contain links to other sites. Rossdale has no control over the information and privacy policies and practices of those Web sites, and is not responsible for their content, collection and use of information, or freedom from error or viruses. It is your responsibility to recognize, by paying attention to your browser’s address bar, when you are leaving Rossdale’s site. The information on this Web site is presented only for the promotion of services and products available in the United States and unless otherwise specified. Rossdale makes no representation or warranty that this Web site is applicable or appropriate for use in any jurisdiction outside of the United States. You agree and understand that you will only be permitted to pursue claims against Rossdale on an individual basis. You agree and understand that you will not be able to bring claims against Rossdale, or any of its affiliated entities, agents, directors, employees, owners, and/or officers any class action related to or involving this website andd/or any Rossdale services and/or merchandise. You also agree that you will only be permitted to seek relief (including monetary, injunctive, and declaratory relief) on an individual basis. Rossdale believes that electronic privacy is crucial to the ongoing success of the internet as an educational, commercial, and service medium. This policy summarizes the type of information, including personally identifiable information, that we collect through our Web site and how we might use that information. By using our Web site, you consent to the collection and use of this information by Rossdale. For each visitor to our Web site, our Web server automatically recognizes and collects the domain name of your internet provider. This information may be used to improve the content and usefulness of our Web site and for marketing purposes. Affiliate Information: We do not sell, share, or rent your contact or personal information to a third party for purposes of marketing. Please notify us in writing if you do not wish to be marketed to by Rossdale. Rossdale may also disclose Personally Identifiable Information in response to legal process, such as a court order or subpoena. Rossdale provides 3-CD sets and/or flash drives of its seminars as a premium service to its customers. 3-CD sets and/or flash drives are generally processed within 4-10 weeks following a live broadcast or from the date of order, whichever is later; however, the 3-CD sets and/or flash drives may be mailed earlier than the 4-10 week period, as soon as they are available. The 3-CD sets and/or flash drives are mailed through the U.S. Postal Service and may take 4 to 7 business days to be delivered once processed. 3-CD sets and/or flash drives may not be returned or exchanged for any reason without Rossdale first issuing a return authorization, in writing, to the customer. Requests for return authorization may only be made via email and must be sent exclusively to Returns@RossdaleCLE.com. Refunds and exchanges will not be given for any returned CD, flash drive, or CD's without a return authorization first having been issued by Rossdale, in writing. No exceptions will be made to this rule. All refunds are governed pursuant to Rossdale's refund policy. Rossdale currently includes shipping and handling as part of the overall fee for the 3-CD set and/or flash drive; this is subject to change without prior notification. Shipping & handling is only provided for addresses within the United States and its territories. Customers are responsible to pay the full cost of shipping & handling to addresses outside of the United States & its territories. Rossdale may also access a handling fee to addresses outside of the United States & its territories. In the event that a customer provides to Rossdale or enters on the site an incorrect mailing address, Rossdale reserves the right to charge the customer a shipping and handling fee to cover the entire cost of mailing the 3-CD set and/or flash drive again to the customer as well as the full cost of a new 3-CD set and/or flash drive. Rossdale also reserves the right to charge the full price of a 3-CD set and/or flash drive and the cost to have the 3-CD set and/or flash drive delivered by registered mail or with tracking if a customer claims not to have received a 3-CD set and/or flash drive. Customers must inform Rossdale in writing, to Support@RossdaleCLE.com, if they hve not received any or all of the 3-CD set and/or flash drive within 12 weeks of the date of the seminar date or registration, whichever comes last, if the customers wishes to notify Rossdale of a lost 3-CD set and/or flash drive. Any customer who do not notify Rossdale in writing within 12 weeks of the seminar date or registration whichever comes last, that a 3-CD set and/or flash drive has not been received is contractually deemed to have received the 3-CD set and/or flash-drive. Rossdale provides complimentary continuing legal education ("CLE") and minimum continuing legal education ("MCLE") credit processing for a number of the state bar associations and jurisdictions that approve Rossdale courses for CLE/MCLE credit. It is the responsibility of each attendee to ensure that his/her full and proper credit has been posted to his/her state bar and/or jurisdiction. Rossdale may not be held responsible if this credit is not fully or accurately posted to an individual attendee's CLE history with her or her state bar and/or bar association. In addition, Rossdale's undertaking to post CLE/MCLE credit is not part of the registration fee for the seminar. Rossdale's posting of CLE/MCLE credit is a gratuitous undertaking, whose failure in no way breaches Rossdale's contract with a customer's purchase or CLE registration. Rossdale accesses a $50.00 fee per state, per attendee if Rossdale is required to complete, execute, or in any other way, process CLE and/or MCLE credit for a state that is not posted on this Website. Rossdale seeks CLE and/or MCLE credit for certain jurisdictions. If a jurisdiction is not listed under the program description, Rossdale disclaims any guarantee, warranty or liability if the jurisdiction later determines not to provide full or partial CLE and/or MCLE credit for the particular seminar. Rossdale does not warrant that a certain jurisdiction will approve a course for partial or full credit. In the event that a course is not approved for CLE credit, Rossdale will not be held liable to return, cancel, or refund part or full registration fees. Rossdale does not make any oral representations regarding applications for CLE/MCLE credit to jurisdiction not listed on this Website. Any information that differs from the information posted at this Website or otherwise not listed on this website must be stated, in writing, by Rossdale, prior to the customer's purchase of the seminar in question in order to prove validity. Where a sponsor fee is required for a course to be approved for CLE and/or MCLE credit, Rossdale makes its best efforts to pay that fee. Some jurisdictions do not require a sponsor fee of out-of state sponsors. Rossdale disclaims any liability, warranty, or guarantee to pay any optional fee related to CLE and/or MCLE credit. Upon request, Rossdale may access a $50.00 fee per state, per attendee to complete, execute, or in any other way, process credit CLE and/or MCLE credit for a jurisdiction that imposes an optional out-of state sponsor fee. Under no circumstance shall a customer share log-in information, course access information, or other means to participate in any seminar with any other party not registered to participate in a given seminar. Where a customer for a seminar registers for one participant to participate in a given seminar and where more than one telephone line is used by the participant or multiple participants join the seiner under the customer's name, no CLE credit of any kind shall be given to the customer until the customer fully identifies all participants utilizing his/her name and pays for all participants who utilized the seminar under his or her name to gain access to the seminar. Rossdale maintains a customer oriented pricing program known as the “Early Bird Discount.” When a live telephonic seminar is first introduced, the price is provided at an “Early Bird Discount” for several weeks. There is generally an initial notification sent out to advise of the initial offering of the “Early Bird Discount” and another “last chance” e-mail to advise several days prior to a price change; although in some cases, there may be more than one or no "last chance" reminder notifications. The change in price is set at the exclusive discretion of Rossdale and is based on the number of attendees who have signed up for a given program and the number of days or weeks that remain until the live seminar will be held. After a certain quantitative and/or temporal threshold has passed, the price increases to its regular price. Rossdale reserves the right to charge the full $179.00 premium price for registrations made on the day of a live seminar to offset the high costs involved in last minute registrations. After a program is aired live, it then becomes available as a recorded program in the following forms: 24/7 on-demand, podcast, and/or CD-format. Based on the popularity of a given program, demand from customers, and the exclusive discretion of Rossdale, an “Early Bird Discount” may be extended on a recorded 24/7 on-demand program, podcast, and CD-format seminar. This “Early Bird Discount” on the recorded 24/7 on-demand program, podcast, and CD-format seminar may last in duration from as short as one day to as long as a month or more. The price changes based on quantitative and/or temporal thresholds reached, as well as the exclusive discretion of Rossdale. All attendees who choose to ask live questions during a live teleconference agree to have their voice and/or likeness heard and reproduced when and if the live teleconference is converted to an on-demand downloadable seminar, podcast, rebroadcast, CD-format, or any other reproduction of the original broadcast. In addition, attendees agree that their question may be edited, in whole or in part, at the sole discretion of Rossdale. Rossdale has sole discretion to determine whether questions presented by attendees are appropriate to be asked during the live question and answer session. Rossdale makes no warranties of any kind that every question aksed by every attendee will be posed to the seminar faculty during the live, telephonic seminar. Rossdale make no warranties of any kind that there will be adequate time for every question of every attendee to be asked of the seminar faculty members during the live, telephonic seminar. Rossdale may, at its sole discretion, limit the number and/or types of questions that may be asked during the live, telephonic seminars. Rossdale will make the contact information of seminar faculty available upon request to registered attendees so participants can communicate directly with Rossdale seminar faculty. Rossdale is not responsible to ensure that the seminar faculty reply, in part or whole to any or all questions posed by attendees during the live, telephonic seminar or in the event that participants opt to communicate directly with seminar faculty following the live, telephonic seminar. During most telephonic seminars, Rossdale enables participants to ask questions by pressing *1 on their telephone or by submitting questions via email to questions@RossdaleCLE.com. Participants who press *1 may pose their question to an operator, who will in turn pose the question during the Question and Answer session. It is recommended that participants submit their questions via email to questions@RossdaleCLE.com. Participants who press *1 may miss a portion of the program as an operator takes the participant's question. Rossdale may add, delete, or change the content or scheduling of the products and programs presented on this Web site at any time without notice. If indicated on the seminar page, Rossdale provides course and reference materials to accompany many of our seminars. Some lecturers prefer to utilize and supply exhaustive course & reference materials to accompany their discussion. Other lecturers prefer not to utilize materials. Therefore, there may be some seminars for which there are no course materials to accompany each individual lecturer's discussion. 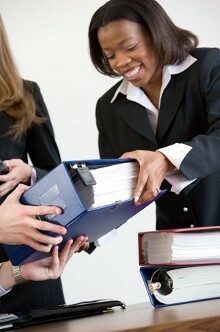 It is accepted and understood that participants will not rely on or use course materials for legal advice. It is also understood that attendees understand that some courses may have limited course & reference materials. At no time may the absence, lack of, or limited amount of course & reference material provide for the cancellation of a seminar. All course and reference materials are provided by means of a downloadable format, generally in an Adobe PDF version. Rossdale never mails out course and reference materials in a paper format. As an environmentally friendly company, Rossdale has replaced wasting paper and sending out written materials with providing attendees with an easy, convenient downloadable version of the materials. Registered attendees have online access to course materials that are posted approximately 48 hours prior to a live seminar. This not only enables Rossdale to maintain its commitment to promoting environmentally friendly business practices, but also enables attendees to have immediate and permanent access to course and reference materials. Attendees may quickly and easily access and find specific topics within the material by using "Control Find" (press "Ctrl" key and the letter "F" key at the same time). Attendees who wish to receive the materials in the mail may register for the 3-CD recording set and/or flash drive on the seminar page; the 3-CD recording and material set includes 2 CD's of the recording and a third CD with a digital copy of the course and reference materials for the seminar. The flash drive includes the recording and a third CD with a digital copy of the course and reference materials for the seminar. Customer Service & Support is provided exclusively by e-mail. Questions regarding previous registrations, support, accreditation, CLE credits, cancellations, billing inquiries, and all matters relating to existing registrations may be directed to Support@RossdaleCLE.com. The views expressed during Rossdale's seminars are those of the seminar faculty and do not necessarily reflect the views, opinions, positions, or expressions of Rossdale. The views of Rossdale's seminar faculty are not intended to provide legal advice or consultation. Rossdale's seminars should not be relied upon as legal advice or consultation. Rossdale expressly disclaims any and all liability if a seminar faculty member fails to provide a complete, accurate, updated, or revised position or statement of law. Rossdale may not be held liable for any consequences following reliance upon the lecture, guidance, materials of any seminar faculty member or course & reference material, regardless of the person(s) and/or entity(ies) who prepared the course and/or reference material, and regardless of the qualifications of the seminar faculty member. Rossdale cares about the safety and security of your transaction(s) at our Web site. We redirect visitors to a more secure server to transfer and receive certain types of sensitive information, such as credit card information, and take precautions against physical and electronic intrusion to protect against loss, misuse, or alteration of information that we have collected from visitors to our Web site or from correspondence or other documents. Rossdale cannot guarantee the security of information collected through this Web site or stored in its data systems, the accuracy of the information posted on or accessed through this Web site, or that the site is error- and virus-free. Materials accompanying Live Seminars and On-demand Downloadable Seminars & Podcasts may be requested, in writing, only by the attendee who took credit for the program. Requests to have materials, downloads, and podcasts re-forwarded after ninety (90) days from the date of purchase are made at the exclusive discretion of Rossdale. Due to privacy, bar security, and integrity of the seminar, under no circumstance may a link be sent or forwarded to any individual other than the registered attendee who sought credit. Rossdale monitors all usage of telephonic and download participation of our seminars. While registered attendees of a live telephonic seminar or downloadable seminar may invite others to overhear a seminar, only registered attendees may receive CLE credit. Furthermore, a registered attendees may not, under any circumstance, share his/her teleconference PIN # or dial-in instructions with another individual. Attendees who choose to share their dial-in instructions and/or PIN #'s with others are financially responsible for the additional registration fees. Any breach of these regulations may be referred for state bar investigation. All information pertaining to state bar approvals, program agendas, program guides, speaker qualifications, materials, and all other relevant information on Rossdale seminars is provided at this website. Rossdale does not make any oral representations regarding state bar approvals, program agendas, program guides, speaker qualifications, materials, or other relevant information related to programs. Any information that differs from the information posted at this Website or otherwise not listed on this website must be stated, in writing, by Rossdale, prior to the customer's purchase of the seminar in question in order to prove validity. Rossdale does not make any oral representation that differs from the material posted on this Website. All sales are final. Any order cancelled in writing more than six business days prior to a live teleconference may receive a 50% credit valid toward a future Rossdale seminar, valid for one year from the date of issuance. credits not used within 365 days of issuance expire. Credits will only be given in response to requests emailed to CLE@RossdaleCLE.com. Cancellations or credits may never be taken over the phone or left on a voicemail. For a teleconference occurring on a Wednesday, for example, the request for a credit must be received by 11:59 PM (Eastern Time) on the Monday of the week prior to the seminar. Credits are provided at 50% of the portion of the order being cancelled. For example, a customer who makes a timely request, to the appropriate email address, will receive a $64.50 credit on a registration on which the customer spent $129.00. Orders may not be cancelled, exchanged, refunded, or modified within six business days or fewer prior to a teleconference. Refunds are not provided after a registration has been made; instead, a credit toward a future program is provided if the order is cancelled in a timely manner as outlined above in this paragraph. Refunds will not be given under any circumstance once an attendee has dialed into a teleconference, irrespective of the length of time for which the customer chooses to spend on the live teleconference. Refunds and credits may not be given because a customer chose to dial into a seminar late, hung up before the seminar ended, or for the customer's technical difficulty. The CLE sponsor may immediately pursue bar grievance action against those involved in unethical conduct in connection with the CLE sponsor, those who take CLE credit for seminars without participation, and those who dispute credit card payment in an attempt to utilize the services of the CLE sponsor without full payment. Orders for CD's and/or flash drives may be cancelled only on the CD/flash drive portion of the order ($59 or $89 - depending on the price paid for the 3-CD set or flash drive) if the CD/flash drive has not yet been shipped and customers will receive a $59 or $89 (depending on the price paid for the 3-CD set or flash drive) credit toward a future Rossdale seminar, valid for one year; credits not used within 365 days of issuance expire. Requests to cancel the 3-CD set and/or flash drive must be made in writing to CLE@RossdaleCLE.com. 24/7 On-demand downloadable seminars, recordings, and podcasts may not be refunded, for any reason, once an order has been placed. Rossdale recommends that attendees participating in teleconferences dial in from a land line and does not recommend the use of mobile or voice-over-internet lines. Mobile and voice-over-internet lines often drop calls. Rossdale is not responsible for an individual customer's technological, internet, or telephonic limitations of any kind. If a customer orders the same product twice, the customer may seek a store credit for the duplicate registration by emailing CLE@TheRossdaleGroup.com within thirty (30) days of the second registration. The customer will be given a store credit equal to the amount of the duplicate registration to use toward another seminar registration. It is agreed that the duplicate orer is non-refundable. The store credit will expire one (1) year after issuance. Rossdale provides seminars on a per attendee, license basis. All participants must register for the program, irrespective of whether the participant seeks and/or claims CLE credit. Rossdale is owed payment by every attendee to each and every seminar (whether live telephonic, on-demand telephonic, on-demand downloadable, podcast, live in-person, CD format, or in any other media). Each attendee registered for a live teleconference is entitled to use at most one line or connection to the live teleconference. In no case may a registered attendee share his or her access number with a non-registered attendee. Individuals not seeking CLE or MCLE credit must register for their own connections to a live teleconference. If two or more individuals working at the same firm each wish to participate in the seminar on different lines or connections, all individuals must register for the seminar individually irrespective of whether one or more of the attendees is/are seeking CLE/MCLE credit. If a customer mistakenly orders the same seminar more than once, the customer is responsible for advising Rossdale, in writing, to CLE@RossdaleCLE.com of the customer's mistake, within seven (7) days of the registration, to receive a credit toward a future registration. The customer is responsible to pay any fees that result if the customer disputes a Rossdale credit card charge. Rossdale reserves the right to initiate litigation and immediately pursue bar & license grievance action against any individual who attempts to claim CLE and/or MCLE credit for seminar(s) for which the individual did not attend in whole or part, utilizes the services of Rossdale without full and complete payment, and/or engages in any fraudulent activity in connection with CLE offerings. In the event that you dispute a credit card charge relating to your purchase from Rossdale, you agree that Rossdale may recover at least $1,750.00 to cover administraive costs, attorneys' fees, and liability exposure relating to credit card disputes, from you, your firm, the person registered for the seminar, and/or the person registered to receive either CLE and/or MCLE credit to cover the expense incurred by Rossdale of responding to your dispute. You also agree to pay attorney's fees and court costs incurred by Rossdale to bring legal action for the recovery of monies owed to Rossdale. Rossdale posts the agenda that each of our seminar faculty intend to discuss. The seminar faculty are generally practicing attorneys, judges, and professors. A seminar faculty member may deviate from the agenda and topics posted. Rossdale may not be held liable if a seminar faculty member does not cover any or all of the agenda points or supplements the agenda with additional topics. Last minute schedule changes may occur and prevent a particular speaker from attending. The speaker may be substituted by another individual or in rare instances, the speaker may request to have her lecture pre-recorded prior to the live seminar and the lecturer aired in combination with the live broadcast. Rossdale may not be held liable for the substitution of one or more seminar faculty members, if a lecturer opts to pre-record, or in the event that a seminar faculty member is unable to join a given seminar. Users of this site and Rossdale services and products acknowledge that Rossdale is represented by counsel. Any communication relating to adverse actions and litigation, including demands, threats, and analysis, may only be communicated with Rossdale's counsel, in writing, at C/O General Counsel, 1172 South Dixie Highway, Suite 225, Miami, FL 33146. Direct communication with any Rossdale staff member, director, officer, management, owner, employee and/or affiliate will be construed as communication with a client represented by counsel. In the unlikely event that a CD or Flash Drive cannot be played, please notify Rossdale in writing, within 7 days of receipt of the order, at CLE@TheRossdaleGroup.com to report the issue. Our IT Department will use its best efforts to remedy the issue, which includes providing additional instruction on playing the CD/Flash Drive or forwarding a replacement CD/Flash Drive. The aforementioned terms & conditions will still govern, including, but not limited to cancellations, refunds, and payment. As a courtesy for customer loyalty, Rossdale provides “complimentary downloadable recordings & podcasts” for any registered attendee who is unable to dial into a live seminar. If an attendee does not dial into a live seminar, within seven business days of the live broadcast, the attendee is forwarded an e-mail (to the e-mail address used to register for the program) with a link to the seminar page. On the seminar page, the attendee has an option to listen and play the recording on his or her computer. The attendee may also download a podcast of the program. The complimentary downloadable recordings and podcasts are not CD’s, disks, or flash drives. Any attendee wishing to receive a CD may register for the 3-CD set. Any attendee wishing to receive a flash drive may register for the flash drive set. The complimentary downloadable recordings and podcasts are accessible through our website. If an attendee dials into the seminar (regardless of the length of time that the attendee is on the live seminar), the attendee is no longer able to receive the complimentary recording and podcast. CLE & MCLE credit for participation in recorded programs varies across jurisdictions. Questions regarding applicable continuing legal education ("CLE") and minimum continuing legal educaion ("MCLE") credit may be found under the details for the individual program or may be sumbitted to support@RossdaleCLE.com. CLE & MCLE credit is not available in Arkansas or Virginia for the Complimentary Absentee Recording & Podcast. Any check used for payment that results in a returned check fee will require the customer to compensate Rossdale for $250.00 to cover the returned check fee and associated costs incurred by Rossdale plus the original amount of the check payment. This payment must be forwarded to Rossdale within seven business days of the date of notification of the returned or cancelled check. This payment must be forwarded to Rossdale in the form of a cashier's check. Rossdale reserves the right to initiate litigation and immediately pursue bar grievance action against any individual who cancels a checks and/or provides a check with insufficient funds. In the event an individual's check is cancelled or there is insufficient funds, agree that Rossdale may recover at least $1,750.00 to cover administrative costs relating to the recovery of these, from you, your firm, the person registered for the seminar, and/or the person registered to receive either CLE and/or MCLE credit to cover the expense incurred by Rossdale of responding to the cancelled check or check made with insufficient funds. Rossdale is entitled to recover legal fees and all costs incurred by Rossdale in the event that Rossdale files legal suit to recover payment or other monies. In the event that Rossdale files legal suit to recover payment or other monies, Rossdale is entitled to recover costs, included, but not limited to, chargeback and dispute fees, arbitration fees, bank penalty fees, court filing fees, collection fees, and all legal fees involved in Rossdale's representation and case preparation. Click Here to Purchase or Reserve Your Seat Today!